Karkala, July 31, 2016: After a long lull, Naxals are in the news again. Some banners which were reportedly put up by Naxals were spotted on the compound wall of the Government Higher Primary School at Nooralbettu of Karkala taluk on July 30, Saturday. Some slogans were also found written on the wall. As many as five hand-written banners, 4 posters, seven handwritten as well as printed hand bills and three flags were seized by the police. 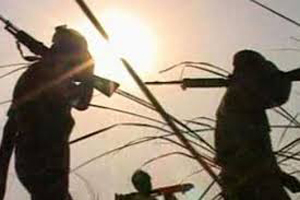 The police suspect that Naxals might have come to the area the previous night or during the wee hours. A case has been registered in Karkala Rural Police Station and investigations are underway.